This post originally appeared as part of the KIN OF CAIN blog tour on Parmenion Books. Writers and other creative types are often asked what inspired them to create their work. In the case of my Bernicia Chronicles series of books, it’s a very difficult question to answer succinctly. I suppose sometimes a single moment in an artist’s life inspires them to paint a specific picture, or to put pen to paper, but more often than not, I would imagine that it is an accumulation of many influences that leads to somebody creating something new. This is particularly true of the first of my novels, The Serpent Sword. I had never written anything longer than a short story or an essay at school before, so I had no real idea of how to go about writing a full-length novel. I didn’t even know how long a novel was supposed to be! When I came to the writing, I pulled on everything I had ever experienced, every movie I’d enjoyed, every book that had enthralled me, even all the great music I had listened to. I am sure that even things like video games and artwork have influenced me and provided inspiration for certain scenes or characters. I am a firm believer that the best way to approach any new endeavour is to emulate those who have gone before and have been successful. I have heard the great author, Bernard Cornwell, tell the story of how he took his favourite Hornblower novel and then analysed its structure to create the plot for his first novel, Sharpe’s Eagle. For The Serpent Sword, I didn’t dissect any books I had liked in order to come up with the structure, but there are definitely well-loved characters and scenes that I recognise from other sources. Much of this was done subconsciously, and I didn’t even realise it at the time of writing. Some of the inspiration and influences for parts of the novel have only become clear to me years after completing the writing. There are even clearly autobiographical sections that I didn’t spot until quite recently. A few weeks ago, I listened to the audio book of David Gemmell’s great debut novel, Legend. I first read Legend when it was published in the 80s. I was a fantasy-loving teenager and I just lapped it up. I enjoyed it just as much on this recent listen, but what surprised me were the number of sections where I thought to myself, “Wow! 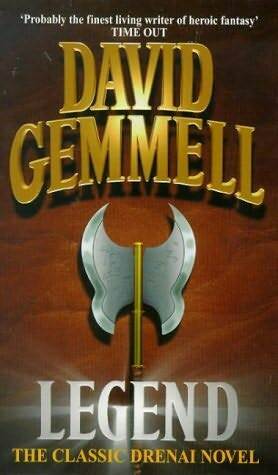 That’s just like a scene from The Serpent Sword!” Clearly Gemmell’s novel had soaked so deeply into my psyche that I was not even aware of how it had inspired parts of my writing. There are some parts of my writing where I have knowingly used something I have read, seen or heard as inspiration. I love westerns and the whole section in The Serpent Sword where Beobrand and some other warriors chase miscreants across the wilderness of Northumbria is an homage of sorts to the western genre, in particular to a section of one of my all-time favourite novels, Lonesome Dove by Larry McMurtry. 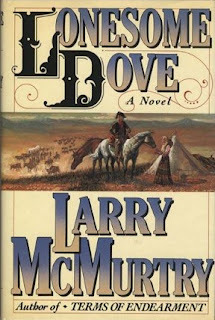 I’m not going to give away all of the nods and mentions of other books and popular culture in the series, but if you look carefully you might well find quotes or references to science fiction movies and rock songs, along with more homages to famous westerns. 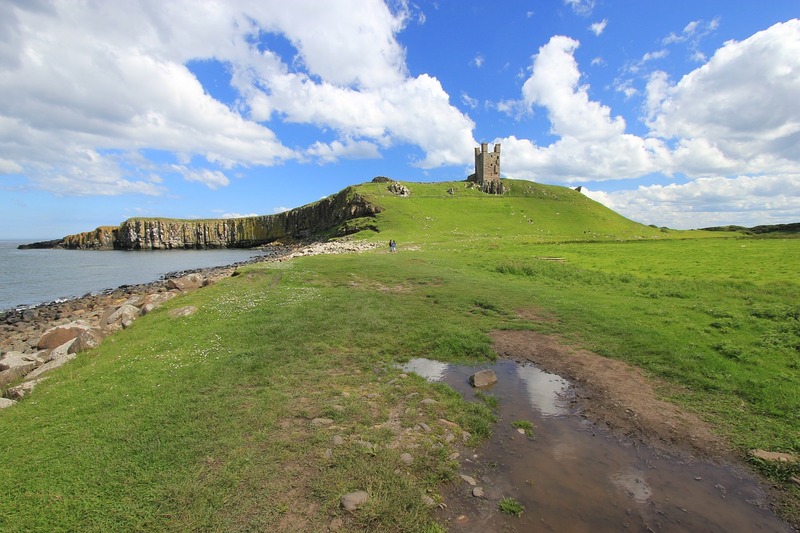 Of course, another massive inspiration for the books is the land of Northumbria itself. As a child I lived in a small village call Norham on the banks of the Tweed, which you may well recognise if you’ve read the series. I love the north-east coast of England. 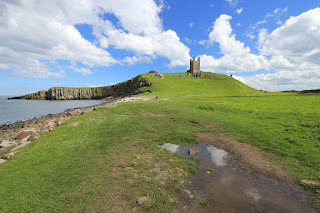 The cliffs, castles and islands dotting the slate-grey North Sea, all serve to make the past spring to life. It is easy to imagine the men and women of 1,400 years ago on those same windswept bluffs with the guillemots and gannets wheeling and diving into the sea. They too would have seen the heads of seals bobbing in the waves in the mouth of the river Tweed. The chill spray from the breaking waves would have felt the same to our forebears as to us. I find nature a great inspiration and a wonderful way to get close to the characters from my books. In fact, I think the weather and nature almost become another character in my writing. Finally, another strong inspiration for me came from all those hours playing good old fashioned role playing games, like Dungeons & Dragons. You know, the ones with all the weird shaped dice? I loved creating epic stories with friends. Tales of heroes facing unimaginable odds against terrible foes. Unlike in my books, which are firmly grounded in historical fact, in the games I played there were monsters and magic. 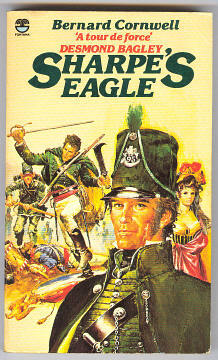 But even as a teenager I knew it was very important to maintain a consistent and believable reality within the story. And real jeopardy. Many kids at school would never allow beloved characters to get killed. 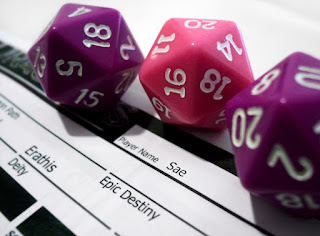 In my games, if the dice didn’t go your way, or you made a rash decision, you were dead. In my writing, I like to think I bring that same element of epic adventure and heroism that can be found in role playing games, but also the true sense of danger I found so appealing. Just because a character is well-loved, does not mean he or she will live forever. Sometimes their very death can be a tale of greatness. Everything and anything acts as inspiration for my writing. Some of it knowingly, much of it unwitting. I plan my novels around a loose structure and synopsis, but the details of each scene and chapter are always undecided until I sit down to write. Then I just try to picture the scene in my mind and write as fast as I can. Where the ideas come from, well, we can call that an accumulation of life experience coupled with a vivid imagination. But surely it is more poetic to call it that most elusive of things at a writer’s disposal — the muse.